If loyalty and courage were legal tender, Dan Kleitz of Outerlimits Offshore Powerboats in Bristol, R.I., would own a massive beach house with an SV 50 sportboat at the docks and a private jet. Instead, he lives modestly in Bristol and works six to seven days a week to keep alive a dream that began with company founder Mike Fiore, who died in August 2014, and was carried on by Fiore’s longtime friend and business partner Joe Sgro, who died a little more than four years later. That would be a lot for any 29-year-old to handle, much less one who became the righthand man for both of his bosses. That the transfer of ownership to longtime silent Outerlimits investor Brian McLaughlin since Sgro’s death has taken longer than anticipated—and is still pending completion—hasn’t made things easier for Kleitz. Not only does he have to deal with sometimes anxious employees and often nervous customers as the de facto general manager and public face of the company, he has to run the show and sell boats. In this year’s build of a Outerlimits SV 29, Dan Kleitz and his father, Ken, realized a long-held dream. Photo by Pete Boden/Shoot 2 Thrill Pix. For the record, Kleitz doesn’t complain. Whatever doubts and fears about the future he may have, he keeps to himself, his parents Ken and Barbara and his longtime girlfriend, Karly Shea. In any given casual conversation with Kleitz, who started with the company when he was 20 years old and was still in Roger Williams University, you’ll hear him laugh often and drop more than few f-bombs. But what you won’t hear him do is fall into self-pity, much less gripe about the past, present and future of Outerlimits. Kleitz, you see, is a true believer, the kind of guy any company owner in his right mind would fall over himself to hire, albeit with some occasional toning down. Yes, especially in his early days with the company, his brash nature and fierce pride in the Outerlimits brand did not endear him to the owners and builders of other go-fast powerboat brands. More than once, he got himself into trouble on the offshoreonly.com message boards. But while his competitive edge is still there, Kleitz has mellowed quite a bit since he began sweeping floors at the facility in 2010. And since the loss of Fiore and Sgro, he has helped keep hope alive in Bristol. His passion for performance boats, however, began long before he arrived. 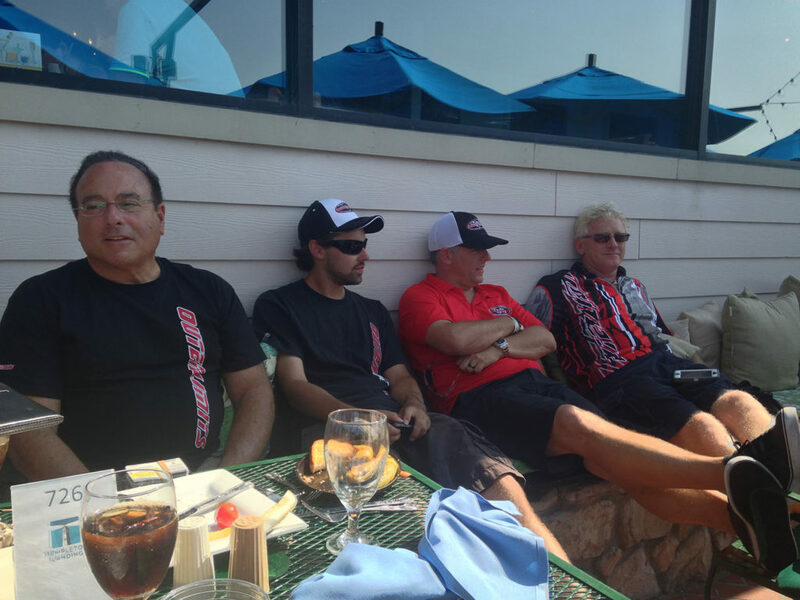 “Thanks to my father, I grew up around performance boats,” said Kleitz. “I’m kind of a boat nerd—you can ask anybody. My college was right on the water in Bristol, so every time Mike would go by testing a boat, I would run to the window to watch. In the years that followed, Fiore taught Kleitz about the go-fast boat business. “I learned everything from him, from how to drive a boat to how set up a boat to how to build a boat,” he said. “Mike was my mentor. He took me under his wing. And when he was at his home in California, he would communicate everything that needed to be done in Bristol through me. About a year after Kleitz started at Outerlimits, his father purchased a pre-owned SV 40. Close to this day, Kleitz and his dad really had wanted to build a new SV 29 but the 40-footer “ended up making more sense at the time—and was a great boat,” he said. 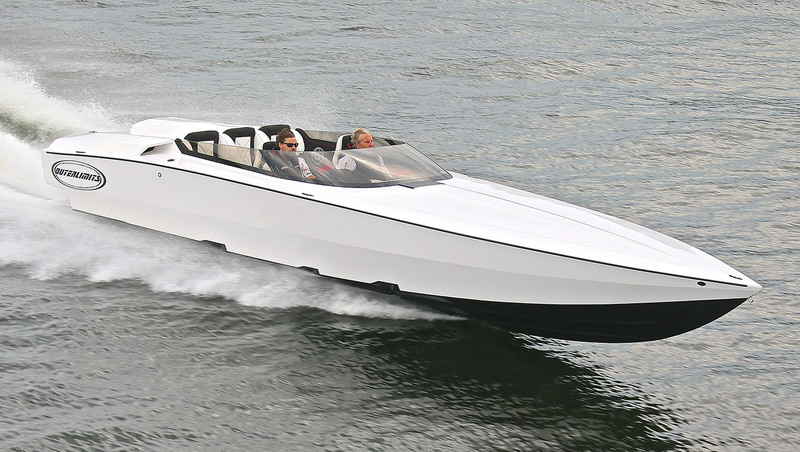 Earlier this year, the company finished a 29-footer powered by a Mercury Racing 565 engine for the father-and-son duo. Like the rest of his Outerlimits teammates, Kleitz is looking forward to the company’s next chapter. And for a 29-year-old—or even someone almost twice his age—he has a remarkably balanced perspective on his journey.